Evolutionary algorithms are widely used for solving multiobjective optimization problems but are often criticized because of a large number of function evaluations needed. Approximations, especially function approximations, also referred to as surrogates or metamodels are commonly used in the literature to reduce the computation time. 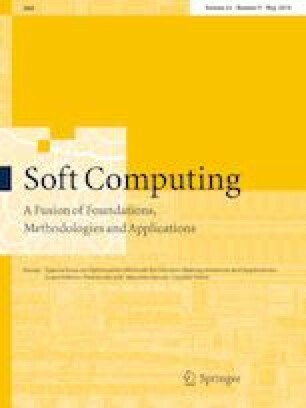 This paper presents a survey of 45 different recent algorithms proposed in the literature between 2008 and 2016 to handle computationally expensive multiobjective optimization problems. Several algorithms are discussed based on what kind of an approximation such as problem, function or fitness approximation they use. Most emphasis is given to function approximation-based algorithms. We also compare these algorithms based on different criteria such as metamodeling technique and evolutionary algorithm used, type and dimensions of the problem solved, handling constraints, training time and the type of evolution control. Furthermore, we identify and discuss some promising elements and major issues among algorithms in the literature related to using an approximation and numerical settings used. In addition, we discuss selecting an algorithm to solve a given computationally expensive multiobjective optimization problem based on the dimensions in both objective and decision spaces and the computation budget available. The research of Tinkle Chugh was funded by the COMAS Doctoral Program (at the University of Jyväskylä) and FiDiPro Project DeCoMo (funded by Tekes, the Finnish Funding Agency for Innovation), and the research of Dr. Karthik Sindhya was funded by SIMPRO project funded by Tekes as well as DeCoMo.